An advertising manager is someone who oversees the advertising activity of a business, not just a position you see on entrepreneur TV shows. Their specific role may vary depending upon the business or agency. 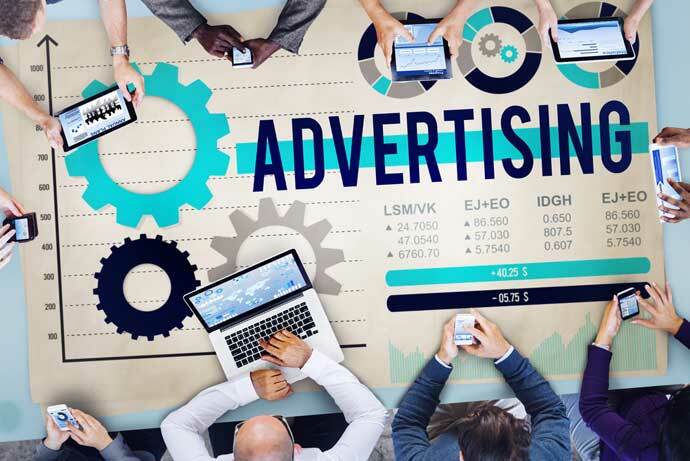 However, most often advertising managers focus on directing the business strategy for advertising, implementing campaigns and supervising the many advertising-related departments within the company. This position takes a careful mix of creativity and business sense, along with many years of experience. If you are interested in becoming an advertising manager in the future, you should definitely start preparing now. Below you will find a general how-to guide that outlines everything you need to do to become an advertising manager. The first thing you can do to prepare yourself for the role of advertising manager is to understand the job outlook. You should always have reasonable expectations when it comes to your career. Knowing the advertising manager job outlook is the first step to forming your expectations. As of writing this post, the U.S. Bureau of Labor Statistics predicts employment growth. However, that can change. Be sure to understand what you are getting into when you are pursuing a career in advertising management. The first step to becoming an advertising manager is to earn your degree. Many schools offer Mass Communications or Advertising degrees which would be essential to your position and help you learn about product life cycles before entering into the job market. Additionally, you may want to consider a degree in psychology, business or even journalism, if the technical aspects of marketing are not your priority. There are plenty of paths you can take when it comes to the education system, just make sure it will help lead you to a career in advertising management. While in school, it would be a good idea to join a club and take on a leadership role that is specific to your industry. For example, to gain more experience in advertising you may want to take on the position of publicity coordinator for a school organization. Choose something that you care about and allows you to get hands on experience with advertising. The club experience will come in handy when it comes to landing your first internship. This is an important step to take because it kicks off your real world experience. Real experience is invaluable to your position. You are not likely to get many job offers in the future with just a bachelor’s degree. Instead, make sure that you take on at least one internship at an advertising agency or some related institution so that you can begin to fill up your resume. Although the advertising manager focuses on more business and administrative tasks, creativity is also a necessary quality. You should begin developing a portfolio of your own work to show that you can do it all. Come up with campaign ideas on your own and create something special. This will show future employers that you have the leadership characteristics it takes to be a leader in the industry. Upon graduation, your next step is to begin searching for an entry level job. Advertising is a tough business so you must be prepared to get turned down a few times. However, as long as you are diligent, your resume and portfolio should catch someone’s eye. Advertising manager is far off from an entry level job. Once you have a junior position, the only thing you can do is work your way up. Print out some inspirational growth quotes and post them in your office and at home to constantly remind yourself of your end goal. Do everything that you can to get promoted, and soon you will be offered your dream job. If you want to become an advertising manager it is important to follow the steps above. An education and experience are two key factors to success if you hope to get the job. Knowledge of effective communication models certainly could not hurt either. Keep these steps in mind and good luck!